The Programme was launched in 2014, and has been rolled out to cover all 18 districts in Hong Kong. It aims to help the Hospital Authority (HA) manage demand for general outpatient service, enhance patient access to primary care services and provide choice to patients having follow-up at HA GOPCs for receiving primary care services from the private sector. It also helps promote family doctor concept and foster the use of the territory-wide Electronic Health Record Sharing System (eHRSS). Target participants are patients of the HA GOPCs with hypertension and/ or diabetes mellitus (with or without hyperlipidemia) and clinically stable. Participants of the Programme are required to also join eHRSS. Each participating patient will receive up to 10 subsidised visits per year, including medical consultations covering both chronic and episodic illnesses; drugs for treating their chronic conditions and episodic illnesses to be received directly from private doctors at their clinics; and investigation services provided by the HA as specified through private doctors’ referral. 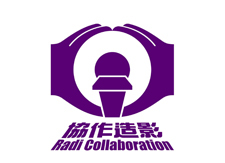 The Radi Collaboration Project, implemented since 2012, provides CT and/ or MRI services to specific groups of cancer patients under the care of the HA. Clinically eligible patients may, upon doctors’ referral, receive radiological examinations from participating service providers. Eligible patients are invited to join the Project on a voluntary basis under full subsidy and can choose their service provider out of the HA’s list. Under patients’ consent, examination results will be sent back to the HA through eHRSS for clinicians to formulate subsequent care and treatment plan. 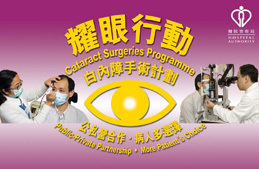 To meet the growing demand from cataract patients and shorten the waiting time for cataract surgery, the CSP was launched in February 2008 to subsidise eligible patients to undergo cataract surgeries in the private sector. Participating private healthcare providers are allowed to enter their patients’ clinical information and view their patients’ medical records kept at the HA through eHRSS. 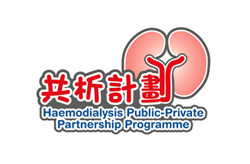 To cater for the growing demand of haemodialysis service for end-stage renal failure patients, the HD PPP was launched in March 2010. Clinically suitable end stage renal disease patients, as assessed by Nephrologists of the HA, are invited to join the Programme voluntarily to receive HD treatment in one of the partner community HD centres of their choice. Through the eHRSS, community HD providers can access the clinical information of participants while the community HD treatment records are made available to clinicians of the HA taking care of the patients. To further enhance patients’ knowledge and ability in self-management of chronic diseases, the HA collaborates with non-governmental organisations (NGOs) to launch the PEP. Suitable hypertensive and diabetic patients are referred by the HA to attend empowerment sessions in the community. Through the eHRSS, partner NGOs can access the clinical information of participants as needed while the progress and outcomes of the empowerment course are made available to the HA clinicians taking care of the patients. With an ageing population in Hong Kong, an increasing need for long term care services is expected. 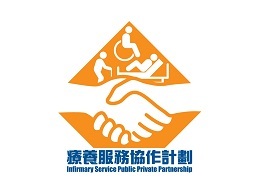 The HA collaborates with an NGO, Po Leung Kuk, to enhance the choices of infirmary care services for applicants on the Central Infirmary Waiting List managed by the HA. The invitation will be made according to the applicants’ registration dates on a first-registered-first-call basis. 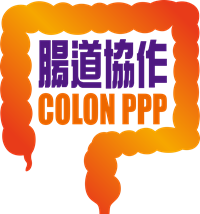 To cater for the growing demand for colon assessment, the HA has launched the Colon PPP to provide subsidy to eligible patients to receive specialist services including clinical assessment, colonoscopy procedure and explanation of results. For patient requiring biopsy and/or polypectomy, the performing private specialist will send tissue specimen for histopathology examination and discuss follow-up treatment plan with the patient if appropriate. Subject to the availability of programme quota, the HA has started inviting patients who are currently on the waiting list for colonoscopy in public hospitals, classified as stable cases, and fit for home bowel preparation and colonoscopy under ambulatory setting by batches according to their registration dates and clinical conditions. Invited patients will then attend designated HA clinics to undergo assessment and submit enrollment forms. Patients also need to register for the eHRSS so that patients’ medical records and investigation results can be shared between the HA and participating private doctors.